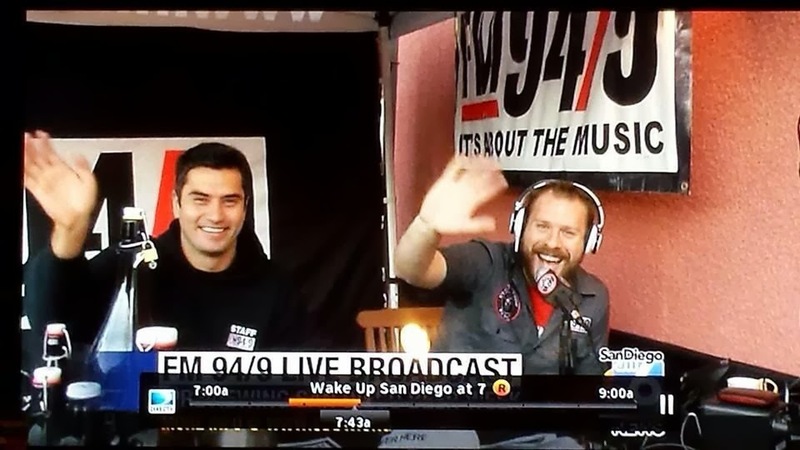 San Diego, CA - November 1, 2013 - FM 94/9's own Jeremy Pritchard (host of Rock & Roll Happy Hour) kicked off San Diego Beer Week with a live broadcast from the back lot of San Diego 6 The - CW! FM 94/9 is the official radio station and media sponsor of San Diego Beer Week as appointed by the San Diego Brewers Guild. 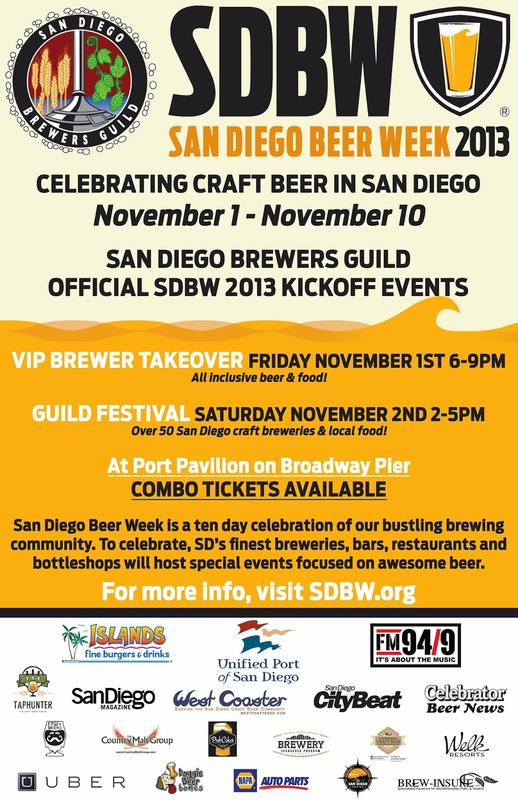 KBZT is also proud to present the San Diego Brewers Guild Festival going on Nov 1-2 at the Port Pavilion on Broadway Pier. 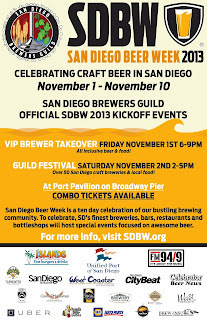 SDBW is a ten-day countywide festival that attracts beer tourism, fosters knowledge of our regional brewing heritage, and serves as a showcase for San Diego's breweries, restaurants, pubs, and other businesses with ties to the craft beer community. FM 94/9 Beer Week celebration continue with another broadcast from Stone Brewing Co.s Rare Beer Breakfast in Escondido, The Lost Abbey, Churchill's Pub & Grille and San Diego Brewers Guild VIP Takeover to finish off....And that's just FRIDAY!